One of the most prestigious golf destinations in America is Myrtle Beach South Carolina. Myrtle Beach is home to over 100 championship golf courses that will challenge golfers of all skill levels. If you have some friends that want to come and experience great golf check out tee times in Myrtle Beach for great deals going on now. Come to Myrtle Beach and relax for the weekend while playing championship golf with some friends. MBGolf offers many Myrtle Beach golf packages and Myrtle Beach tee times, so no matter when you want to hit up the links there is a package for you. There are some great deals going on right now for tee times in Myrtle Beach and multi round discounted tee times. After playing a relaxing round of golf, you may enjoy “From the Forest to the Sea,” which takes place at the Myrtle Beach State Park. You can experience the natural beauty of the park, its land, and habitats. It starts at 11 am and goes to 12 pm. 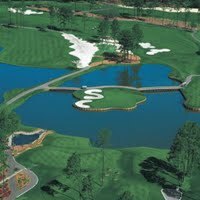 This entry was posted in Myrtle Beach Golf, Myrtle Beach Tee Times and tagged tee times in Myrtle Beach. Bookmark the permalink.